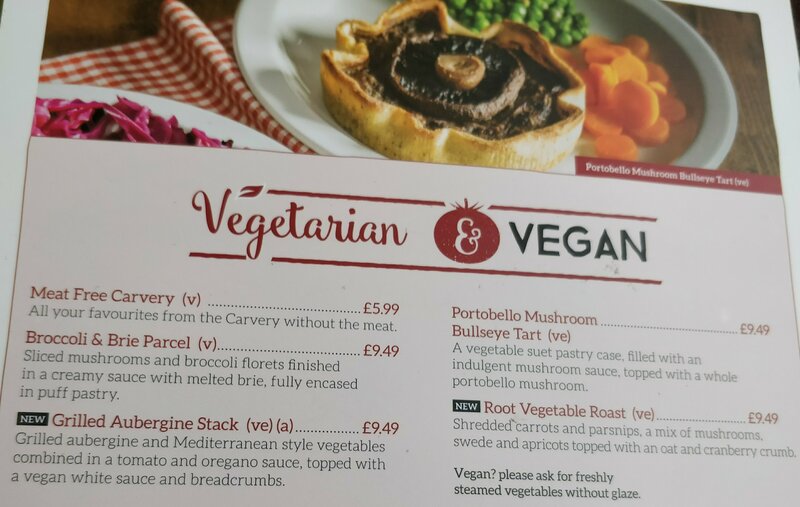 You wouldn’t think a cavery would be the most vegan friendly restaurant but Toby Carvery may surprise you with its 4 vegan mains and an additional veggie main. As a vegan you must remember to ask for separate steamed veg as the regular stuff is glazed with butter. Our waitress was fabulous and bought our mains of Portobello mushroom tart with steamed veg and roast potatoes so we didn’t have to go up to the buffet counter at all. We enquired about the stuffing and she clarified this was also vegan and brought us a plate of it out. We just had to go to the sauce station for clearly labelled vegetarian gravy and I added on some mint sauce. I really enjoyed the mushroom tart, the pasty was crisp and the filling was very tasty. All the veg was nicely cooked although there was so much I couldn’t finish it all! 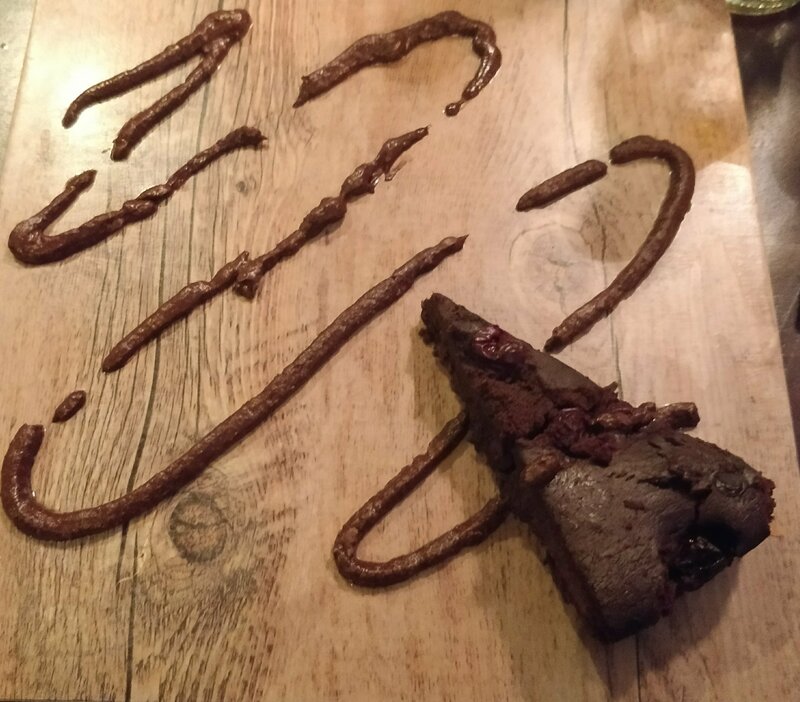 For dessert there is a clearly marked cherry and chocolate torte for vegans. This was great too. It’s nice to see a proper dessert available rather than a fruit salad or sorbet, to make it 10/10 I think they could serve with some vegan ice cream or cream. 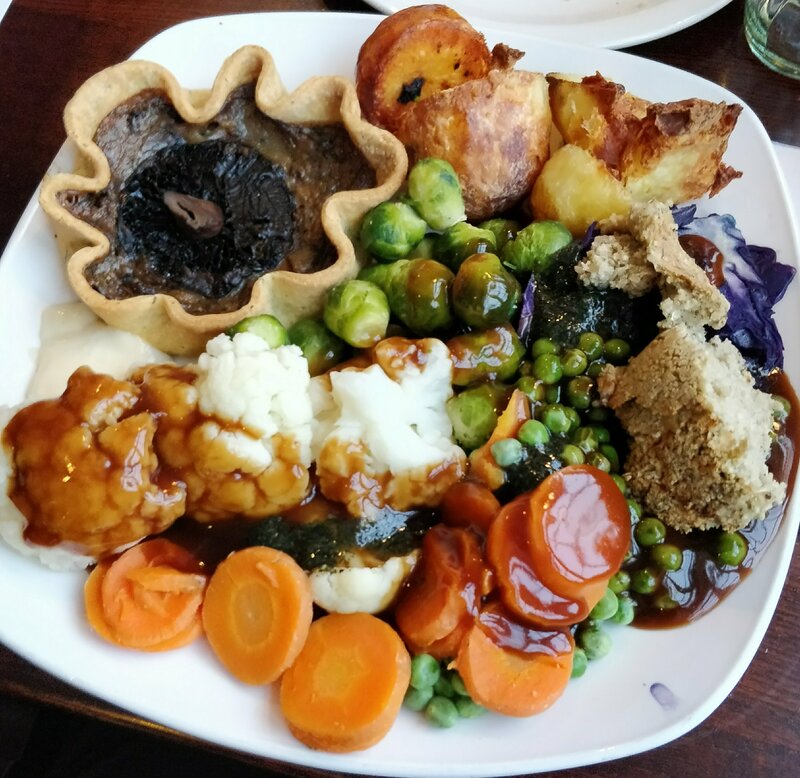 I think Toby Carvery have gone to a lot of effort to make sure vegans are included and this is a great option when you are eating in a mixed group of vegans and non-vegans like we were today in a large family group. Have you eaten at Toby Carvery as a vegan? What did you think? Let me know in the comments below.